The green swathes of the West Country are as quintessentially English as they come, and there are few better places for a camping holiday. From sleepy Somerset to some of the UK's best beaches in Dorset, and up to the chalky uplands of Wiltshire, the this is the home of timeworn thatched cottages, charming countryside and the dramatic, wild landscapes of Exmoor National Park. 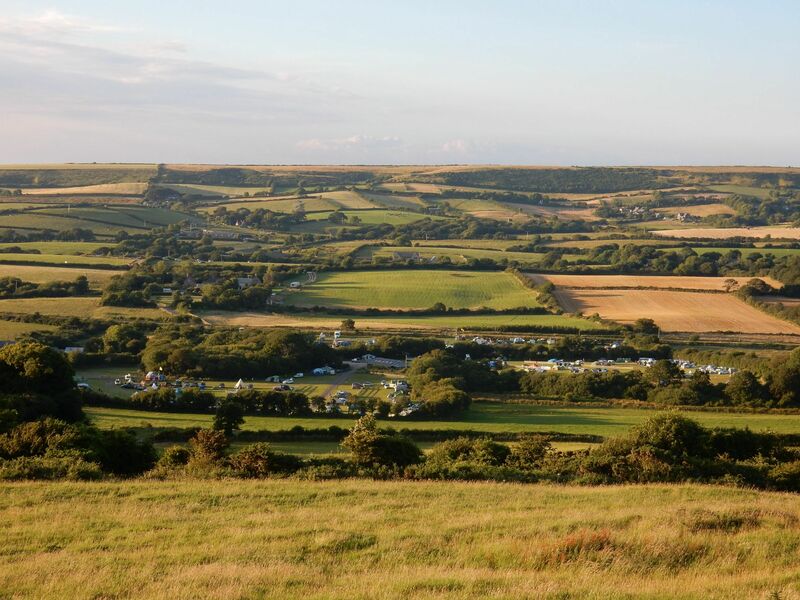 There’s a huge range of fantastic campsites in the West Country – from an easy-going site just a stroll away from famous Cheddar Gorge, to a real back-to-nature, wild camping experience close to Dorset’s rolling countryside and Jurassic coast. Or perhaps you’d rather pitch overlooking the beautiful Stour valley, and be only a short walk the market town of Wimborne Minster? 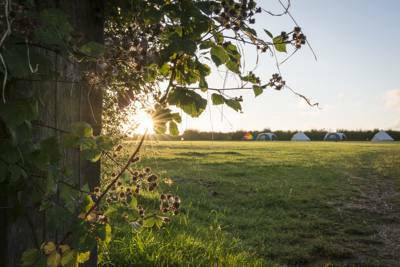 Some of our recommended campsites are situated on real working farms, others are found hiding in secret woodland, while others occupy unspoiled countryside in Wiltshire or Somerset. The one thing they all these campsites have in common? They are the very best in the West Country. 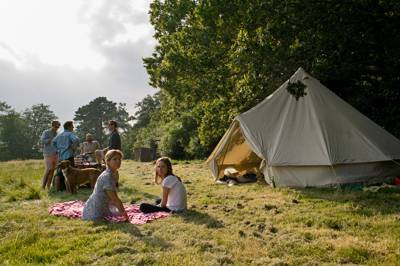 Many campsites in the West Country are run as large holiday or caravan parks, however, Cool Camping’s selection avoids those larger locations, choosing instead the very best small-scale, and often family-run campsites – plus the best glamping options, for those seeking a touch of luxury. 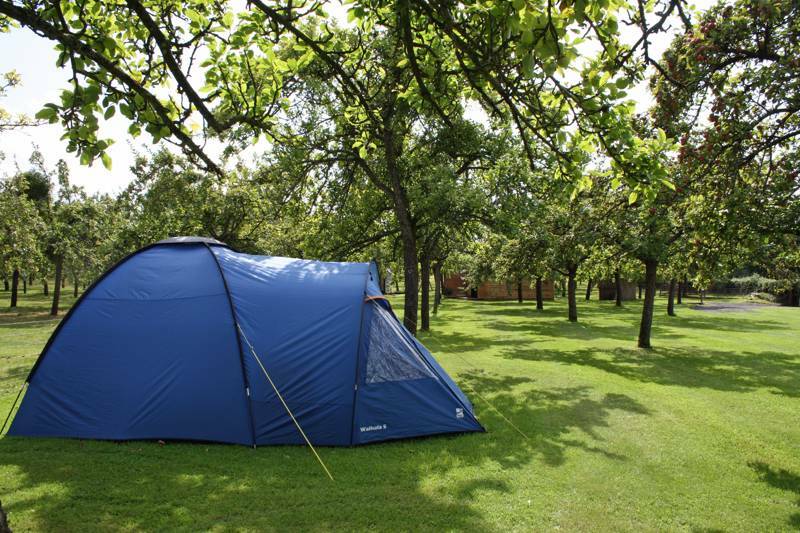 Booking a campsite in the Somerset, Wiltshire or Dorset is sure to provide you with that memorable outdoor holiday you’ve been looking for. 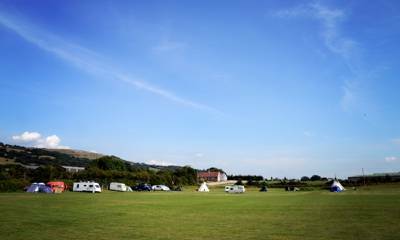 Campers searching for a pitch in a quintessentially English setting will find a variety in the West Country: hummocked hills and fields, windswept moors, and best of all – the coast. With their peaceful beaches and dreamy backwaters, the West Country might just be the UK’s most relaxing region to go camping. 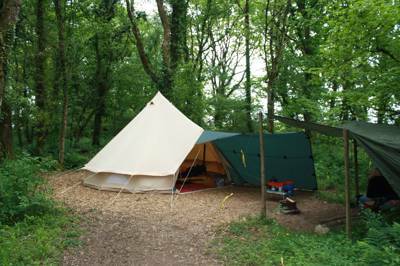 So next time you're looking for the perfect campsite in the West Country, have a look through our list of hand-picked locations. In Bristol, the West Country has one of the most cosmopolitan cities in England. Once a hub for heavy industry, over the last twenty years the West Country’s largest city has reinvented itself as a centre of culture; from Clifton's iconic suspension bridge to the city’s wealth of community cafés and music venues – not to mention street art by Bristol’s most famous son, Banksy. Only a few miles away, the grand Georgian terraces of sophisticated Bath combine wonderfully with one of the world's best-preserved Roman bathhouses and a café culture, to make it a world-class day-trip when you’re camping in the West Country. On the border between Devon and Somerset, the forbidding slopes of Exmoor offer a range of endless walks, and the national park is one of the few places in England where low levels of light pollution allow visitors to enjoy starry night skies. The villages of Lynmouth and Lynton are gorgeous, and a great choice to spend a few hours, whilst the Mendip Hills features an impressive cave system – with Cheddar Gorge and Wookey Hole the most well-known – and offers a good starting point for adventurous trips across the Mendips. To the west, the Quantock Hills – England’s first Area of Outstanding Natural Beauty – offers scenic walks and fossil hunting and, you’re never more than two miles from a pub! The compact cathedral city of Wells, which hasn’t significantly changed in over 800 years, is great for wandering medieval streets, and offers its fair share of boutique shops and galleries. Finally, underrated Wiltshire is home to iconic Stonehenge and the atmospheric stone ring at Avebury – the largest in Europe, dating back to 2600BC. Throw in the 800-year-old Salisbury cathedral – with its octagonal chapter house showcasing a rare original copy of the Magna Carta – and the pretty village of Lacock, and in Wiltshire you have a county packed full of English heritage and charm. In the Somerset seaside town of Weston-super-Mare, the Seaquarium takes visiting campers to the depths of the ocean and boasts ten different zones, with Piranhas in the Rainforest River Zone and Puffer Fish entertaining little ‘uns in the Tropical Reef Zone – there's even an ocean tunnel through the tank of sharks! Further east, the Fleet Air Arm Museum is family-friendly museum packed with jets that children can climb into and discover. An outdoor playground has kids burning off energy, while a replica HMS Ark Royal takes them to another time, allowing kids to fly a Wessex helicopter with a dramatic take-off and landing. Arguably, however, it's Somerset's eastern attractions that are most well known, around areas like Glastonbury, Wells and Cheddar Gorge. The ‘Prison Bastion Viewing Platform’ at The Bishop’s Palace in Wells offers views of Wells Cathedral and allows access to some of the tiny walkways around the ramparts. The ‘Dragon’s Lair’ activity centre wears most children out, but the best part of the palace is watching the swans ring a bell in the moat when they want some lunch. If you’re camping nearer to Cheddar Gorge you can take a tour of the England’s largest show caves and discover the legend of the ‘Witch of Wookey Hole’. There's plenty to do above ground too; there’s the Wookey Hole Circus show, a Pirate Island adventure golf course, and a functioning Victorian paper mill, containing a collection of Edwardian fairground items. In Wiltshire, meanwhile, Longleat is a great choice for a day out with little ones. The park allows children to get up close to small animals, and there are now well over 1000 residents in the safari park and Jungle Kingdom where animatronic dinosaurs are found among otters and lemurs in their enclosures – plus, an array of extra attractions from a parrot show to a bat cave. Wiltshire is also, of course, home to world’s most famous prehistoric monument – and one of Europe’s most popular tourist attractions – Stonehenge, which is believed to have been built 5,000 years ago (the iconic stone circle being erected in the late Neolithic period, around 2500 BC). The visitor centre will entertain the most inquisitive of children and there’s plenty of outdoor space to roam and enjoy a picnic. Elsewhere, Bowood House and Gardens teaches kids about farming, with activities and fun arena displays. Get up close to a whole range of farm machinery and visit Tractor Ted’s farm where little one's can meet friendly farm animals, see chicks hatching and watch films in the purpose built barn. There’s also an adrenaline-fuelled playground for older kids. And Drews Pond Wood Local Nature Reserve, also in Wiltshire, is great for a walk, with a labyrinth of pathways through woodland and dozens of different trees to see – including pines and mighty oaks. There is quite a bit of history to spot along the route too, including a spooky old graveyard. Camping in Dorset? Why not discover the counties iconic Jurassic Coast, England’s only natural World Heritage Site. Take the kids to Charmouth Heritage Coast Centre where they can travel back to the age of dinosaurs. Get hands-on by picking up a hammer and joining an expert guide on a fossil hunting tour – the kids will love finding their own piece of the ancient past. 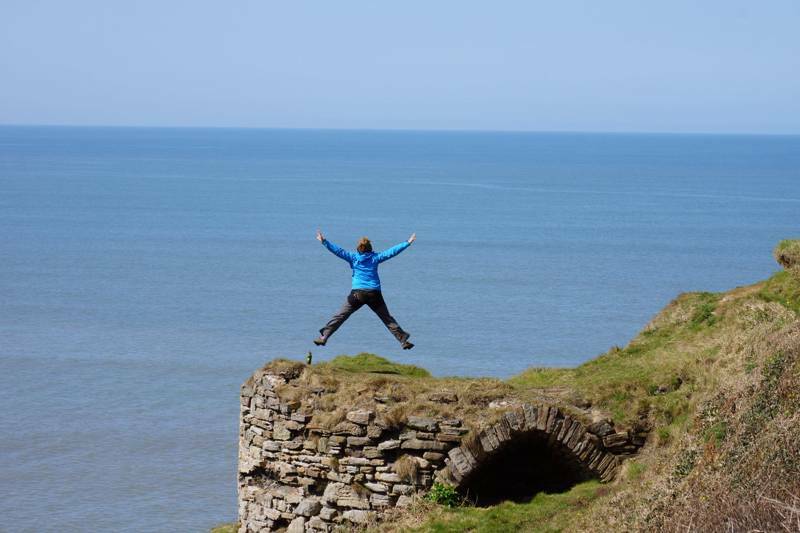 Or simply head out for a coastal walk; you'll be rewarded by breathtaking views and plenty of wildlife. Finally, families can enjoy a ride on the fantastic Swanage Railway. The relaxing 12-mile trip takes passengers through the underrated Purbeck countryside and boasts views of the remains of William the Conqueror’s Corfe Castle. So, you love the West Country, but you’re not so keen on soggy tents or sleeping on an air mattress? 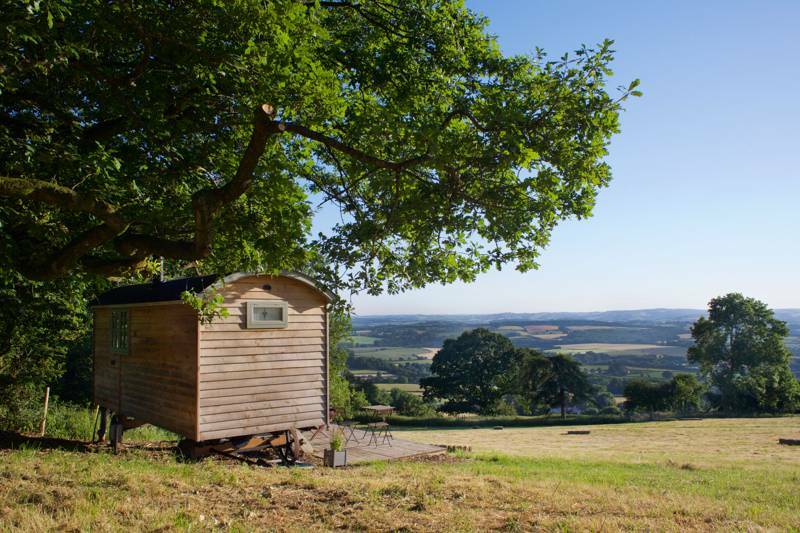 Well, glamping was made for you, and the West Country is the perfect place to try it. Glamping allows you to relax and enjoy the great outdoors, while sleeping in a warm, comfortable bed – just birdsong, and a good night's kip. Sounds perfect, doesn't it? There are dozens of excellent glamping sites in the West Country available to book on Cool Camping, ranging from a luxurious private yurt on a working Dorset farm, and a family-friendly safari tent with a hot tub on the edge of Exmoor National Park, to bell tent glamping in Somerset's Mendip Hills that's perfect for a romantic break. And it’s not your average glamping accommodation that’s on offer either. We've been out and about exploring the West Country and have been impressed by the range of unique, different accommodation that’s available in Dorset, Somerset and Wiltshire. Boutique airstreams on a Bristol rooftop blew our minds, while we also discovered spectacular treehouses and a unique 'Ark', tucked away in the sweeping Dorset hills. 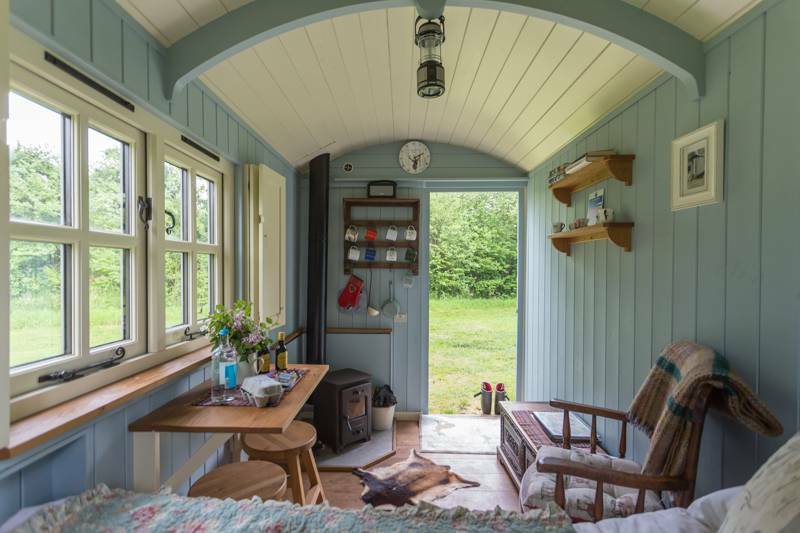 Glamping been around for over a decade now, but it’s really starting to take off across the UK and Europe, especially with those looking for an alternative to a city break or beach holidays. Whatever type of glamping getaway you fancy, the very best locations will be right here on Cool Camping. So take a look now and discover your next outdoor adventure. Only 15 minutes from Bath, Tucker’s Grave Inn (01373 834230), can be found in the sleepy Somerset village of Faulkland. This timeworn pub is famous for its beautifully kept luminous orange local cider – correctly drunk with a slice of lemon – which can be enjoyed in the small wooden nook with the regulars. This 200-year old cider house is now only one of six left in England, and is on the National inventory of Historic Interiors, due to the fact it’s hardly changed since WW1. Sat in a beautiful location – between two mighty cliffs on the South West Coast Path – the 160 year old Anchor Inn (01297 489215) in Seatown is home to Bridport real ales, and a friendly welcome is guaranteed for all campers. Relying exclusively on local suppliers, the spirit of Dorset shines through on their menu, and as you might expect from the location, they're proud of their seafood. A former ‘Visit England Tourism Pub of the Year’, it’s a great place to stop for a bite to eat after a day spent exploring the Jurassic Coast. The Lord Poulett Arms (01460 73149) in the idyllic village of Hinton St George has not only won Somerset’s ‘Dining Pub of the Year’ six times (yes six! ), but was also named one of the top gardens by Gardeners World in the UK for alfresco dining. While most of the dog-friendly pub is geared towards dining, there’s a lovely drinks area with a leather sofa and bookcase. Excellent grub can be devoured at the many summer barbecues, Sunday roasts and, of course, a full English breakfast. The Hourglass (01380 727313) in Devizes sits on the banks of Wiltshire’s serene Kennet and Avon canal – close to the Avebury stone circle – and come summer is buzzing with happy campers and ramblers. Despite being a relatively new pub, it still has a homely atmosphere, and the changing guest beers and top-notch food are sure to impress. The menu ranges from traditional pub classics – namely crispy beer battered cod and chips – to gourmet dishes like the 10-hour slow cooked lamb, which can be enjoyed with views of the surrounding Wiltshire countryside. The Greyhound Inn (01929 480205) sits under the romantic ruins of Corfe Castle, and is a lovely place to enjoy a drink after an afternoon sightseeing. The 16th-century coaching inn’s fantastic location – overlooking the Swanage Railway and under the castle – means it shares the main square only with the Corfe Castle Tea Rooms, an ice cream parlour and Ginger Pop Shop. The talented chef’s create seasonal food dishes, and offer hungry campers the chance to sample the delights of a genuine craft kitchen, using locally sourced Dorset produce. 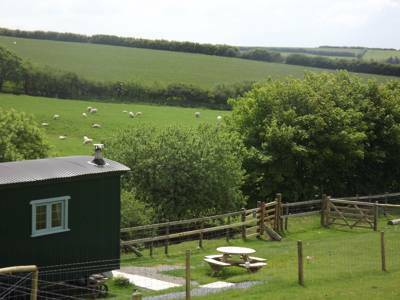 West Country, west country, Campsites in the West Country, Glamping in the West Country, Glamping sites in the West Country, Glampsites in the West Country, Camping in the West Country at Campsites in the West Country, Browse Cool Camping’s carefully curated list of campsites in the West Country, and book your camping holiday today. From family-friendly campsites to farmland sites, romantic retreats to child-friendly camping, there’s something for you.